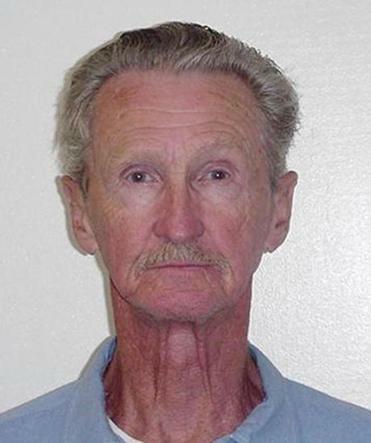 LOS ANGELES — Gregory Powell, who was convicted of killing a Los Angeles police officer during an infamous kidnapping that inspired the crime book and movie ‘‘The Onion Field,’’ has died in prison at age 79, authorities said Monday. Mr. Powell died late Sunday in a hospice at the California Medical Facility, a men’s prison in the Northern California city of Vacaville, according to the California Department of Corrections and Rehabilitation. Mr. Powell spent nearly 50 years behind bars and was denied release several times, including last year when he told a parole board he was dying and wanted to spend his last days outside prison. Mr. Powell and Jimmy Lee Smith were convicted of abducting Officers Ian Campbell and Karl Hettinger in Hollywood on March 6, 1963, after being pulled over for making an illegal U-turn. Mr. Powell disarmed the officers by pulling a gun on Campbell and threatening to kill him. Then he and Smith drove them to an onion field near Bakersfield. Wrongly believing that they had violated the federal kidnapping statute known as the ‘‘Lindbergh Law,’’ and faced the death penalty if captured, Mr. Powell shot Campbell in the face, killing him. Hettinger fled as Mr. Powell fired at him, running 4 miles to the safety of a farmhouse. Mr. Powell and Smith, both ex-convicts, were arrested soon after. Hettinger was haunted by that night and shunned by his colleagues. He left the force, went into the nursery business, and later became a Kern County supervisor. He died in 1994 at age 59. Mr. Powell and Smith were originally sentenced to die, but the penalties were reduced to life in prison when the California Supreme Court overturned the state’s death penalty. The punishment has since been reinstated, but didn’t apply retroactively. The crimes were documented in 1973’s ‘‘The Onion Field’’ and the 1979 film of the same name, both written by Joseph Wambaugh, a former Los Angeles police officer. Wambaugh said in a 2011 interview with the Associated Press that he visited Mr. Powell and Smith in prison when he was writing the book and found their crime inexplicable based on their backgrounds. ‘‘They were both smart guys and just petty criminals who got in over their heads one night,’’ Wambaugh said. Mr. Powell was portrayed as the leader of the fatal kidnapping plot and was played by James Woods, who had a gaunt and pockmarked face in the film.